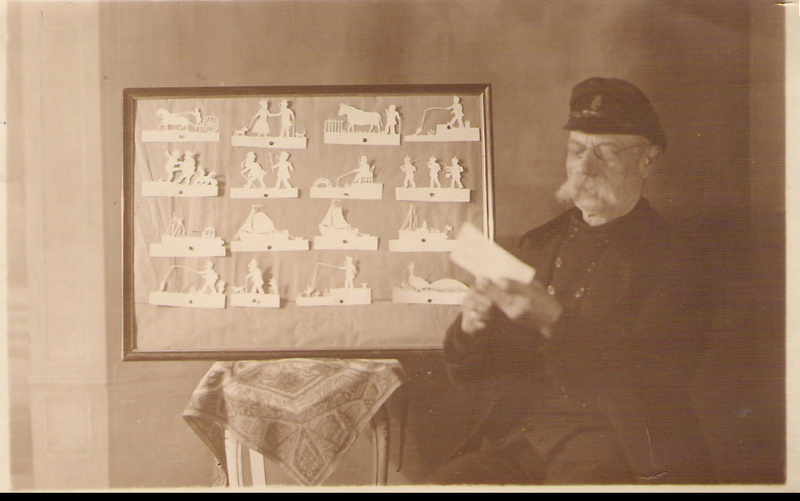 Since my youth my mother has told me about her grandfather Bram Bosch (1865 –1943), who was skipper of an inland transport ship, as well as paper cutter. 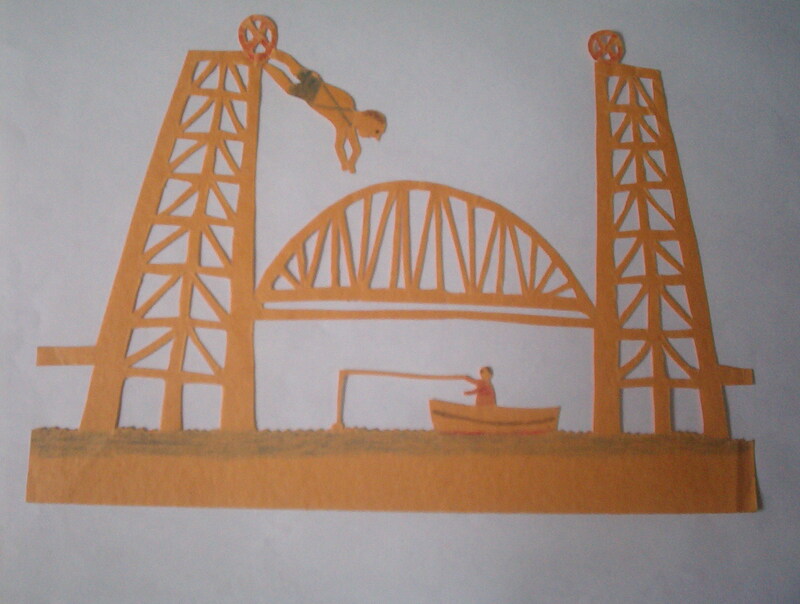 Near my desk I have a cutting from a Roterdam newspaper of 20 March 1931, with granddad Bosch cutting figures out of plain paper (enveloppes etc.). “An artist in his area”, the heading reads. We also have a few of his cuttings. 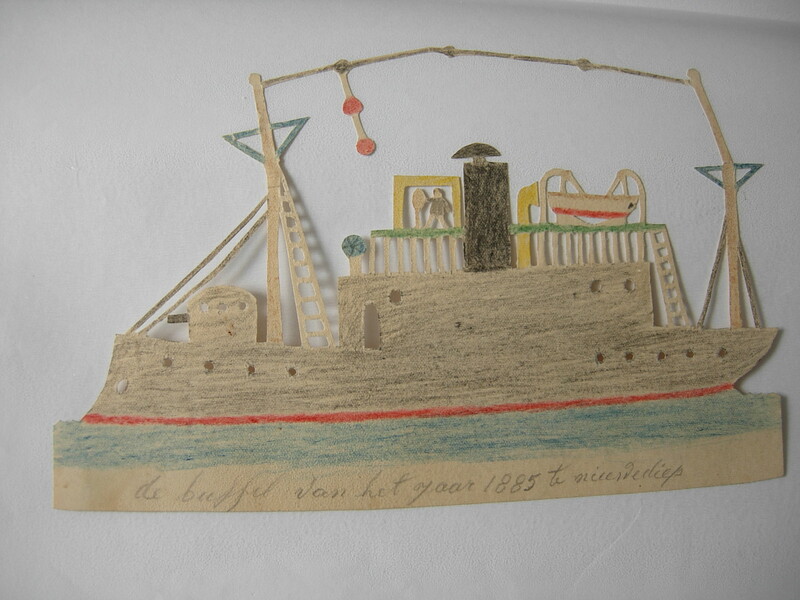 He was also called “de knippende schipper” (the paper cutter skipper). I have a full story on my web site. He made stories through his cuttings, my mother remembers. She sat on his lap on his ship. 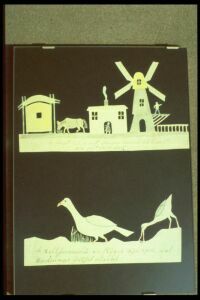 Later he coloured the paper cuttings and wrote a saying under most of the cuttings. This entry was posted on December 15, 2009 at 12:29 am and is filed under knowledge sharing. You can follow any responses to this entry through the RSS 2.0 feed. You can leave a response, or trackback from your own site.